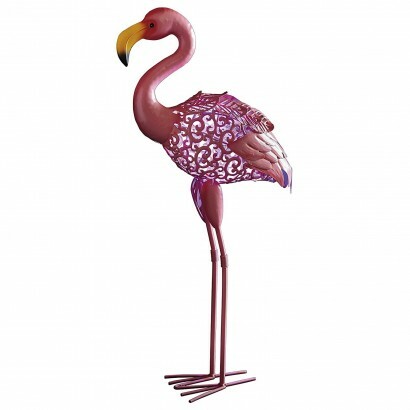 Standing tall and proud in vibrant pink, this stunning solar silhouette flamingo gives your garden a playful tropical vibe. 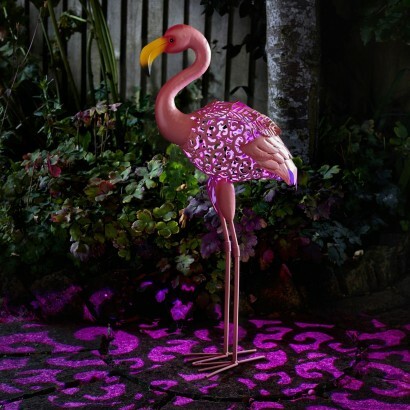 Standing at 75cm tall, this kitsch garden light adds height to your garden and lit by colour change and white light LEDs you can choose the light effect to suit your mood casting scrolling shadows onto surrounding surfaces. Solar powered, there's no wires, simply place where it will receive maximum exposure to sunlight and this kooky garden flamingo will sense darkness to automatically switch on at night.